Butler School District 53 is an acclaimed school district in Oak Brook, Illinois. 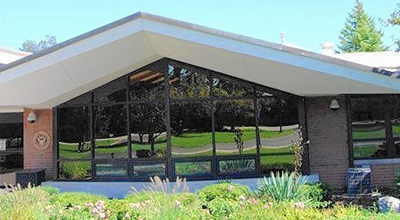 It serves 500+ students together at Brook Forest (grades K-5) and Butler Junior High (grades 6-8) as well as a pre-school in partnership with the Oak Brook Park District. District 53 is known for its high achievement and top test scores. But its nurturing community, personalized learning and spotlight on the whole child are equally a strong focus. Students are provided with high quality instruction and a rigorous curriculum, which are based on best practices and grounded in data-proven methods. Educators strive to provide enriching and engaging educational experiences that propel each and every student to new heights every day. Students work hard to meet those challenges. The families are rich in diversity and in their support. 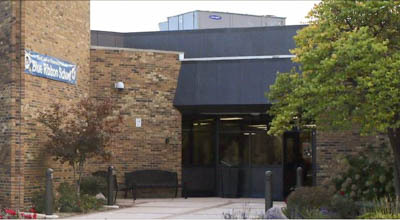 District 53 also boasts unique parent involvement and dedicated support from PTO. Families have high expectations for their students and each and every staff member strives to meet the needs of each child. Our students consistently rank among the highest in the state on tests and earn top ranking on academic teams. The District has invested $6.8 million in its school buildings over the last five years and maintains superior financial rankings, including Standard & Poor’s AAA bond rating. The District’s tax rate is among the lowest in Illinois. The schools have been honored with the coveted National Blue Ribbon Award by the federal Department of Education – Brook Forest in 2014 and Butler Junior High in 2006 and 2015. Additional recognition honoring the District include the Bright Red Apple Award, School Search Bright A+ Award and Chicago Magazine’s “Number One” ranking of all schools in DuPage County. The District commits to inspiring its children to achieve a personal best for themselves and their community everyday. Education is a partnership in a journey of excellence preparing children to learn and succeed in an evolving world. To provide the best educational opportunities for each student to achieve academic excellence, to develop the curiosity for life-long learning, and to demonstrate personal and social integrity. dynamic, innovative learning environment where we are committed to helping each and every child learn and excel. Serving approximately 300 students in K-5th grade, our entire staff takes great pride in helping students better themselves academically, culturally, physically and socially.